When approaching a construction site or road crew, we typically see signs indicating construction workers ahead or to slow for a construction zone. Along with the workers are usually large trucks with backhoes, dump trucks or other road equipment. Motorists are warned to be on the lookout for workers in or near the road but also to aware of these large motor vehicles since a car accident with a backhoe or dump truck can cause catastrophic injuries. 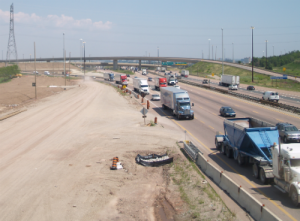 Outside of a construction zones, motorists do encounter dump trucks, trucks with backhoes and other equipment laden vehicles traveling to and from work sites or in residential areas where construction work is occurring. In these cases, getting too close to one of these vehicles can also have devastating consequences. An operator who lacks proper training or who negligently operates the backhoe so that it collides with a motor vehicle or runs over a pedestrian can be held personally liable for any damages or injuries that occur as well as the company that hired the operator. In most cases of a car accident with a back hoe, your personal injury attorney will bring a claim against both parties. Construction companies are responsible for their employees and also for hiring drivers who have records of negligent operation or who may have a known alcohol or drug problem. A company’s failure to properly train back hoe operators and to how to inspect and maintain them can result in their being held liable for any accidents that occur. Motorists are more likely to see dump trucks on the roadways. Drivers sit up high in these vehicles but motorists who rear end these vehicles or collide in front end accidents can end up underneath the truck that can shear off the car roof or demolish the front windshield. Dump trucks become easily unstable and tip if cargos are not balanced. Severe sight restrictions can cause a dump truck driver to fail to see other vehicles when backing up or while changing lanes. Dump trucks cant stop as fast as most passenger vehicles because of the size and heavy load. A dump truck is a commercial vehicle and its drivers require special licenses and training to drive them. Also, such vehicles are subject to a wide array of state and federal regulations governing the hours operators can work, its speed on the roadways, load restrictions and testing of drivers among other regulations. Drivers are presumed under the influence if their blood alcohol concentration (BAC) levels are 0.04%, which is substantially less than the 0.08% standard for passenger vehicle drivers. Consequently, in a car accident with a dump truck that causes serious injuries or death, law enforcement will require the driver to submit to BAC testing. If the driver tests at 0.04% or otherwise violates a trucking regulation such as overloaded cargo or for driving in excess of certain hours, the driver and company can be held liable for damages to the injured driver and passengers. Injuries with monster trucks or construction equipment vehicles like backhoes and dump trucks more often than not cause serious and life-altering injuries. Traumatic brain injuries (TBI), paralysis and other permanent injuries are not uncommon if the motorist and any passengers are lucky to survive. 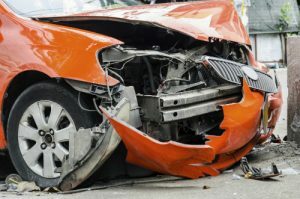 A road equipment car accident lawyer like Neil Burns and Roshan Jain from the Law Office Burns & Jain in Boston has the experience and knowledge in such accidents to handle such claims and get you the compensation you deserve. Road equipment car accident lawyer Neil Burns can advise you on what damages may be compensable depending on the circumstances of your case and can present the compelling evidence and proof necessary to obtain for you and other immediate family members the compensation to which you are all entitled. Call Burns & Jain today for a free and comprehensive analysis of your injury or wrongful death claim.